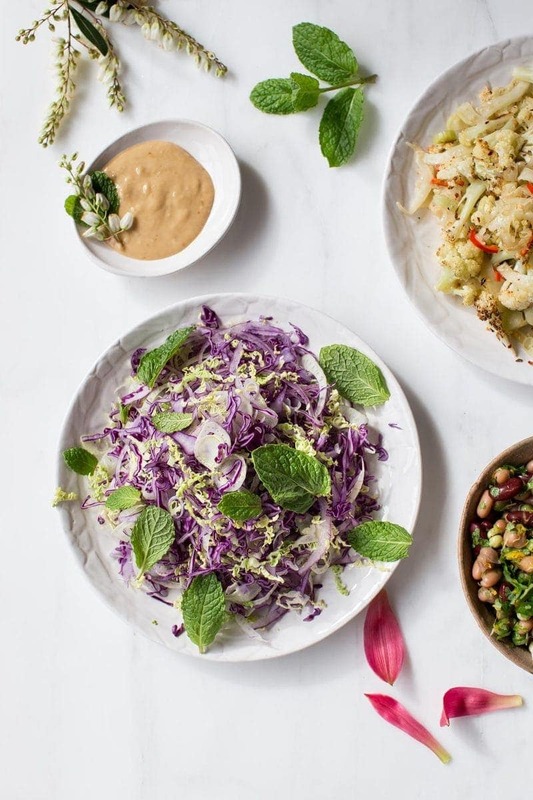 A fresh crunchy Slaw with Probiotic Miso Tahini Dressing. Full of beneficial bacteria and bursting with flavour. 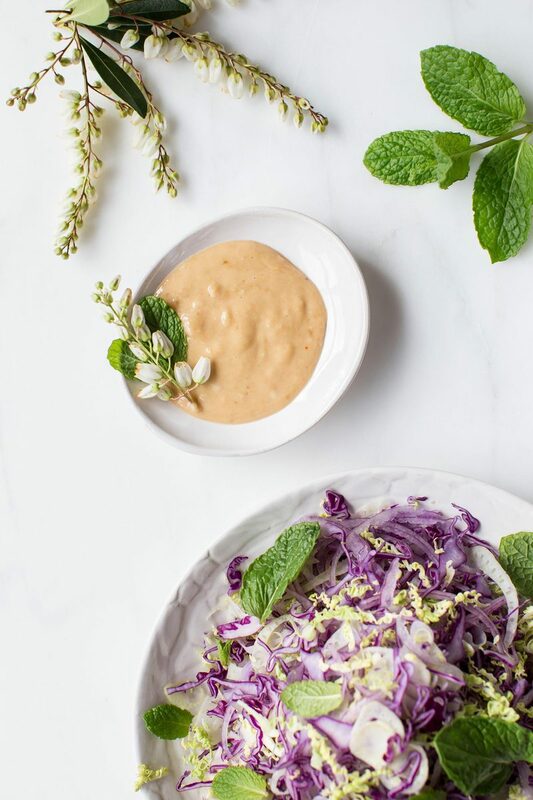 I know, there ain’t much revolutionary about a slaw, but I do think this dressing (well, I guess it’s almost more sauce than dressing) is rather special. 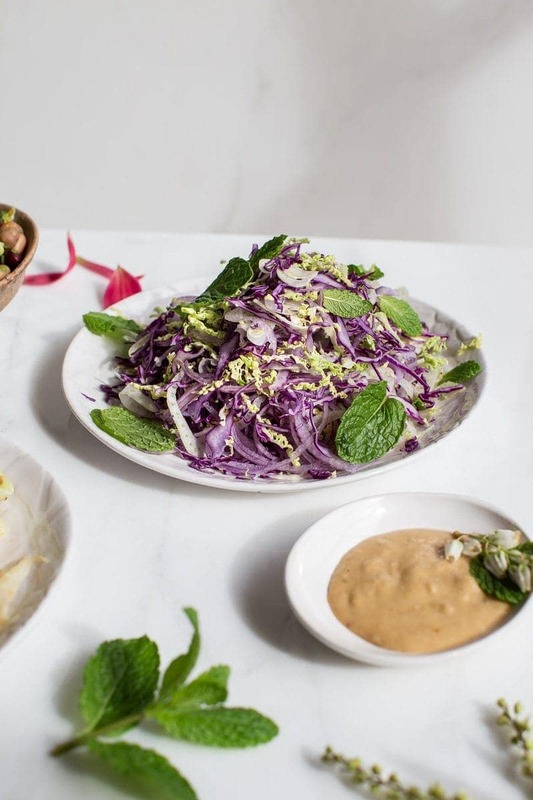 It takes just a minute to whip up and is packed full of flavour and nutrients. We have the sweet yet salty white miso, paired with tahini, sesame oil, lemon, ginger and chilli. Yep, wowsers. I often make a batch of this to use as a dipping sauce for my roast vege. Enjoy! 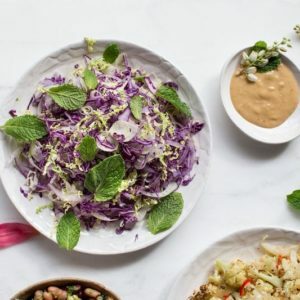 Slaw with Probiotic Miso Tahini Dressing. Serves 2, sauce yields about ¾ cup. Use a mandolin to make quick work of shredding the cabbage, fennel and onion. Add to a large bowl. 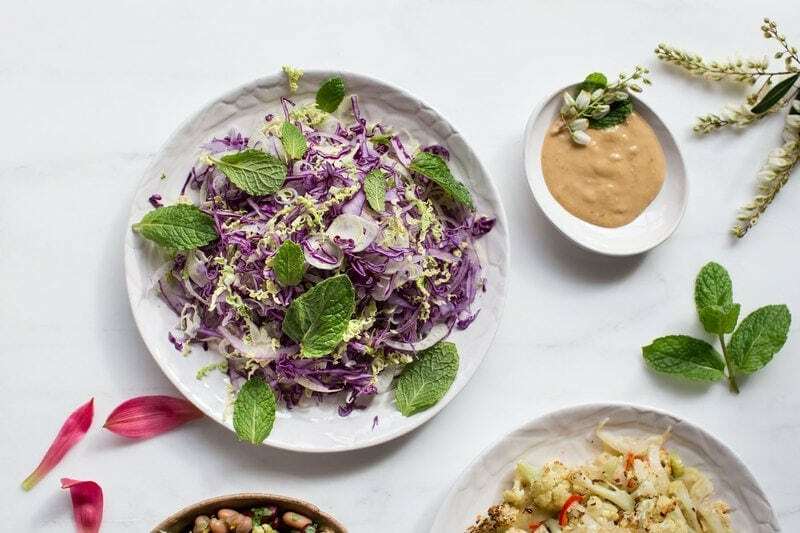 To make the dressing, blend all ingredients till smooth – you might like to soften the tahini and honey first. To serve, drizzle the dressing over the slaw or fold a few tablespoons through. You’ll have enough dressing to last you a few meals. Add fresh mint leaves to finish.